From Frankie Goes To Hollywood to Seal via 808 State, Grace Jones and a cast of thousands, the UK’s original futurist record label celebrated its 25th anniversary this year. 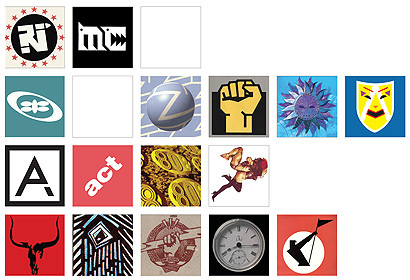 Originally formed by journalist Paul Morley, producer Trevor Horn and manager Jill Sinclair, Zang Tuum Tumb – a/k/a ZTT Records – blasted onto the scene in 1983 with bravado, manifestos and some of the most intelligent, uniquely identifiably music – and sleeve artwork – of the past 30 years. 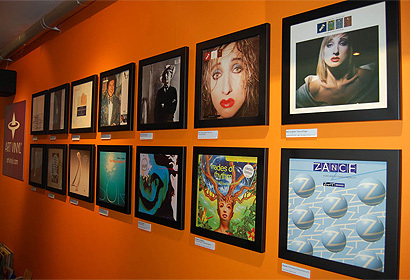 The Art of ZTT showcases some of ZTT’s most memorable, visually daring, iconic (and just plain weird) album and 12” single sleeves. It explores the mid- and late-80s when ZTT ruled the charts with intelligent, experimental pop from Art of Noise, Propaganda, Frankie Goes To Hollywood and Grace Jones. The 90s and ZTT’s influence on UK dance music is represented by Seal, 808 State, MC Tunes and Shades of Rhythm. 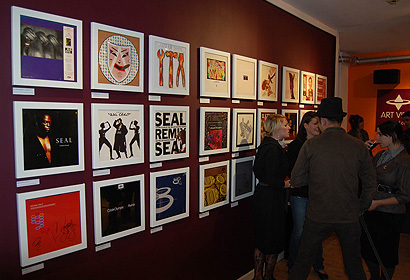 And the 00s are represented with early works by The Frames, All Saints and classic work from Shane MacGowan and Kirsty MacColl. 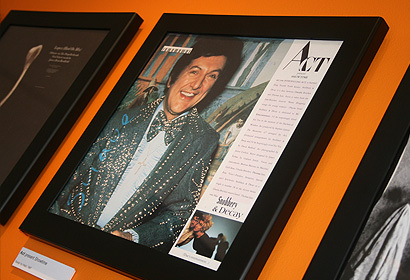 The exhibition was curated by journalist and ZTT archivist Ian Peel.